A career in Botany might just be one of the most preferred careers in India. Botany as a subject is related to the study of plants and a career in it would mean studying in depth about fungi, algae, plants, diseases, growth, metabolism and the structure between different groups. When planning a career in Botany, the job profile can include study of plants, research, working with industries, teaching, self employment, and being a part of many more fields. A person who works in this field is called a botanist. It will be the job of the botanist to study plant life along with finding solutions to problems related to that of forest and agriculture. There are also botanists who deal with space travel agriculture, artificial environments, hydroponics and various other interesting areas of research. Botanists are required by varied organisations ranging from multinationals to research organisations to hospitality and tourism bodies, depending upon the nature of their activities. They fit into different roles depending on the activity of the organisation and evolve into senior positions at high salaries. For admission to a Bachelor’s degree program, the candidate needs to pass his higher secondary education or 10+2 with biology, chemistry and physics as the main subject with a minimum of 55 to 60 per cent. The duration of the UG programs is mostly three years. In order to take admission into a Master’s degree program, the candidate must have done their bachelor’s degree in the relevant subject. The duration of the PG programs is mostly two years. There are courses like Bachelor of Science in Botany, Bachelor of Science (Hons) in Botany, Master of Science in Botany, Master of Science in Botany and Forestry, Master of Science in Applied Botany, Master of Science in Herbal Science, Post Graduate Diploma in Medico botany, Post Graduate Diploma in Plant Biodiversity which one can study under the field of Botany and later be a part of this vast field. After duly completing a bachelor’s education in Botany, a candidate can look forward to being a part of the industry by working as a technician, whereas, a candidate after completing his/her master’s education can look forward to working with some industry giants or being a part of good research teams. The amount of diversity in the field of Botany gives it students to choose their specializations as per their choice, aptitude and interests. There is huge scope of being a part of this industry merely keeping in mind the amount of diversity it has to offer. Conservationist: Is an individual who works for the conservation of the environment and is often linked to organisations working for the cause. Ecologist: A person who works for the eco-system and a balanced environment. Environment consultant: Some botanists qualify to work as environmental consultants, providing inputs and advice for the conservation of the environment. Horticulturist: A horticulturist knows the science behind different plants, flowers, and greenery. They conduct research in gardening and landscaping, plant propagation, crop production, plant breeding, genetic engineering, plant biochemistry, and plant physiology. Plant biochemist: Biochemists study the chemical and physical principles of living things and of biological processes, such as cell development, growth, heredity, and disease. Molecular biologist: Molecular biologists conduct research and academic activities. The research component involves the study of biological structures in well-equipped laboratories with advanced technology to help them explore complex molecular structures and their particular functions. The equipment may include microscopes, lab centrifuges, computers with specific software that allows them to analyze obtained data, and many more. The number of professions botanists can go into nowadays is endless. 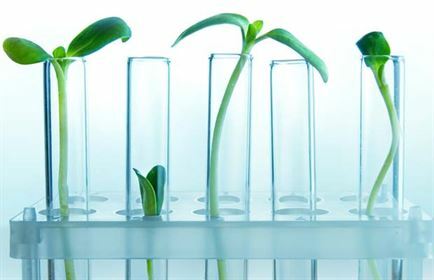 Moreover the application of plant sciences improves the yield and supply of medicines, foods, fibers, building materials and other plant products. The knowledge of plant sciences is essential for development and management of forests, parks, waste lands, sea wealth etc. The pay scale of a botanist is very high, but theses scales vary for a botanist in the private and government sector. Needless to say, that the pay scale depends on qualification, designation, experience and skills of an individual. Those interested in being a teacher or researcher can expect a salary ranging from Rs 18,000 to Rs 20,000 per month. In other sectors, a candidate can initially expect their pay scale to be somewhere between Rs 15,000 to Rs 25,000 per month and will only increase with the advent of time and experience.